The BEST addition to my collection in many a year. 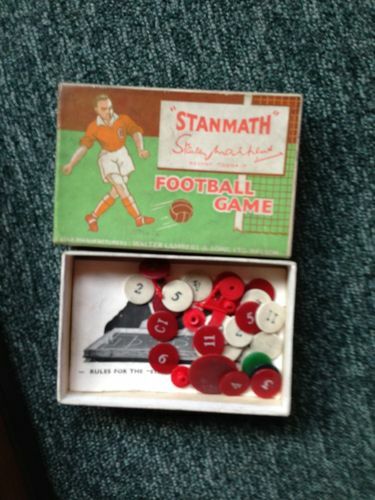 A totally unused Stanmath set with sealed bag of pieces and in perfect condition. I could not believe my luck when I opened the parcel!! 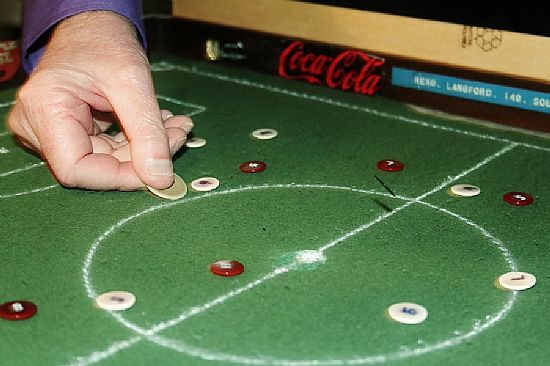 Played like a mix of tiddlywinks and Subbuteo on a fab baize pitch. 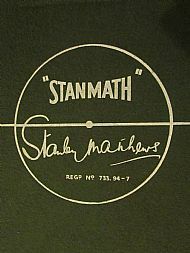 Not the greatest name for a game but if Sir Stanley is endorsing your game then you need to acknowledge the fact! Complete boxed game for sale. 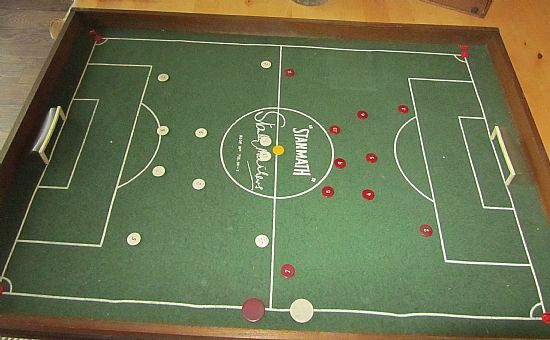 The pitch is made from wood and hardboard with a high quality baize pitch which is well printed. I also have another boxed game for sale complete but the baize is a bit worn and lines uneven. Ideal for restoration. Oh my goodness how I long to open this envelope! Shine a light through it and I can see numbered counters, large counters, mini corner flags!!!! and a ball counter. 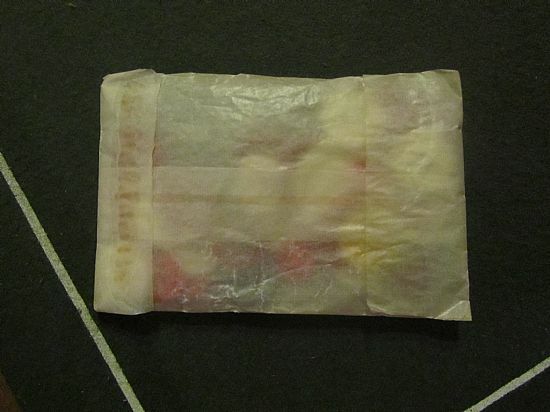 A glimpse inside the envelope! 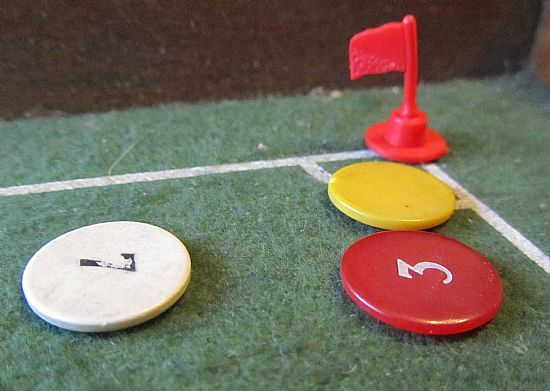 Here is a shot of the game components - numbered counters, corner flags, ball disc etc. Now I don't have to open my sealed set! Frenzied match action with a titanic struggle for the ball near the corner flag. No quarter asked or given!! A mix of tiddlywinks and Subbuteo in the rules booklet. I must confess to not having read it yet. 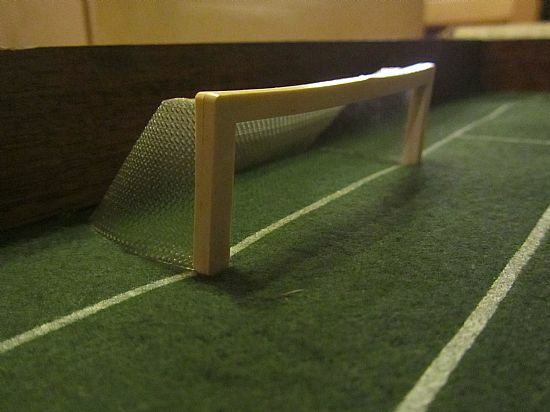 Superb plastic and mesh goals that fit well into the baseboard. Nice big corrugated card box with simple printing - 34/11 what a bargain. 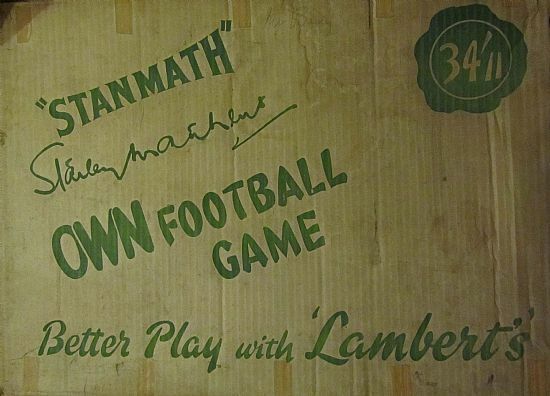 Lamberts are not the cigarette company but a sports goods company. Here is the world champion showing his technique on the original prototype pitch.